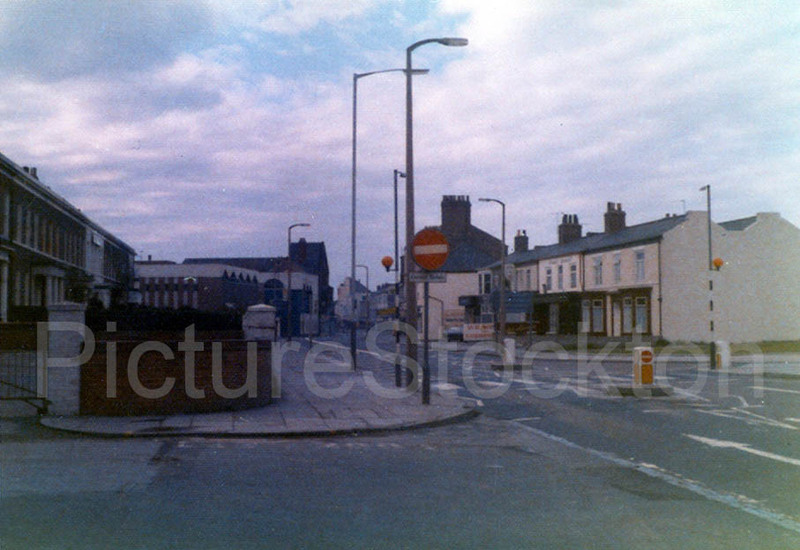 Norton Road heading towards Stockton High Street c1970s. Photograph taken by Len Toulson. Courtesy of Neal Toulson. On the corner of Wilfred Street, in the Parkfield area of Stockton. 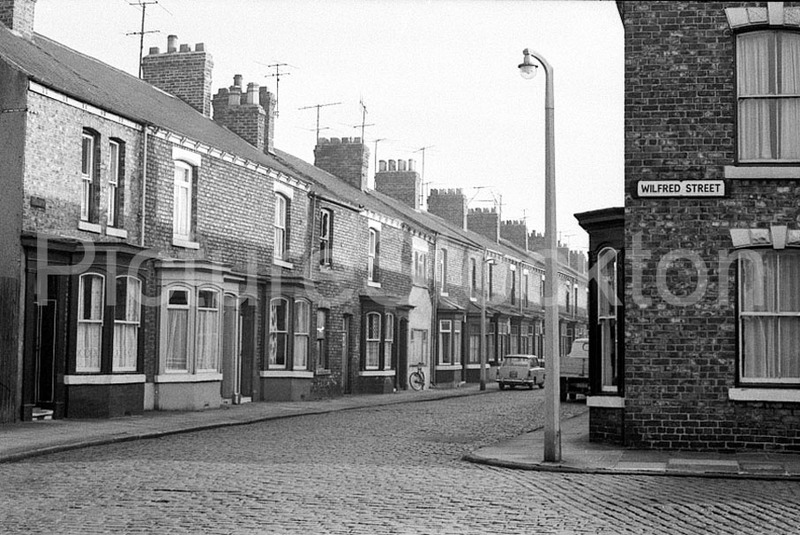 Wilfred Street and others in this area were demolished c2006. 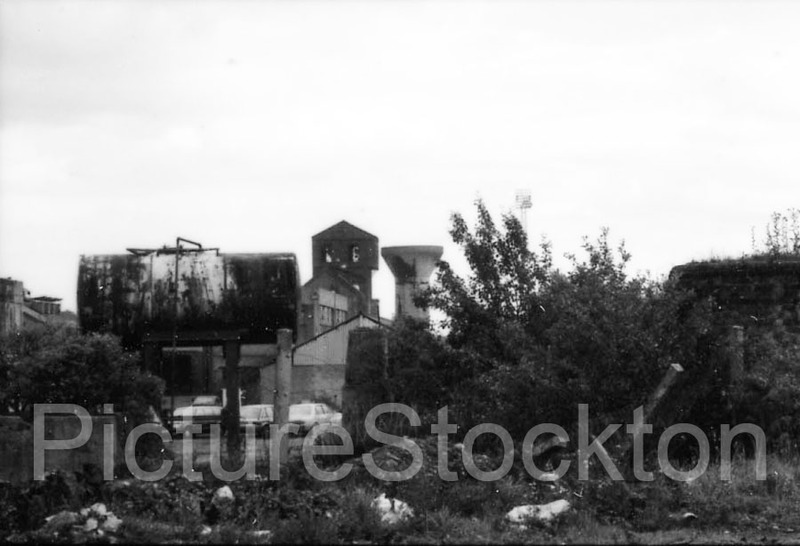 A view of The Groves in Stockton c1986. 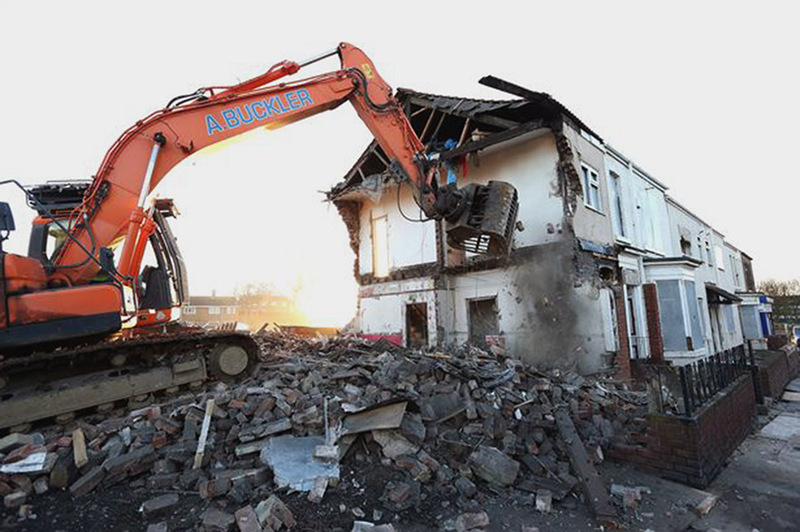 This photograph shows the bulldozers at work during the final phase of the demolition of homes on the Swainby Road Estate, Stockton-on-Tees. 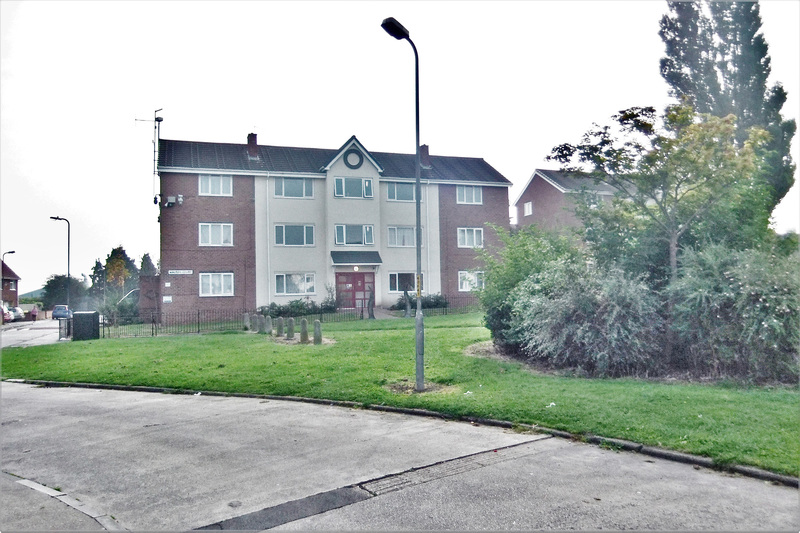 This programme commenced in year 2014, as part of a Stockton Council housing old-for-new regeneration housing project. 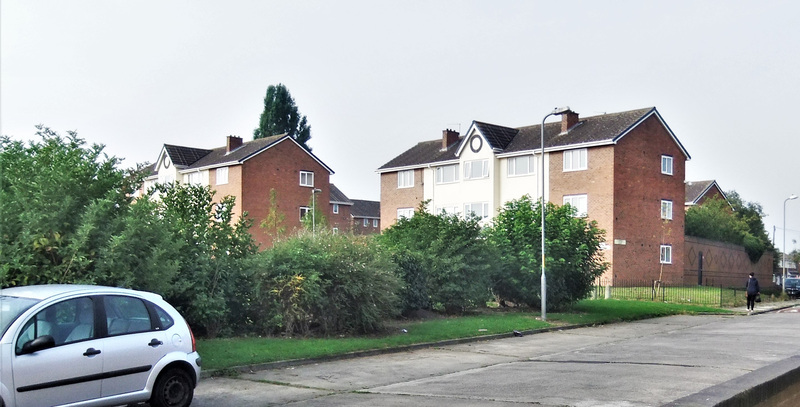 The £10m project was expected to take five years to complete, and was undertaken after residents were invited to a consultation event to find out what was planned for the area, along with details of the new family homes planned for this once highly popular, but now rundown estate. New residents were expected to move in, on a phased intake tenants scheme commencing in Autumn 2014. Details courtesy of Bob Wilson, photograph courtesy of Neil Hodkinson (Evening Gazette). 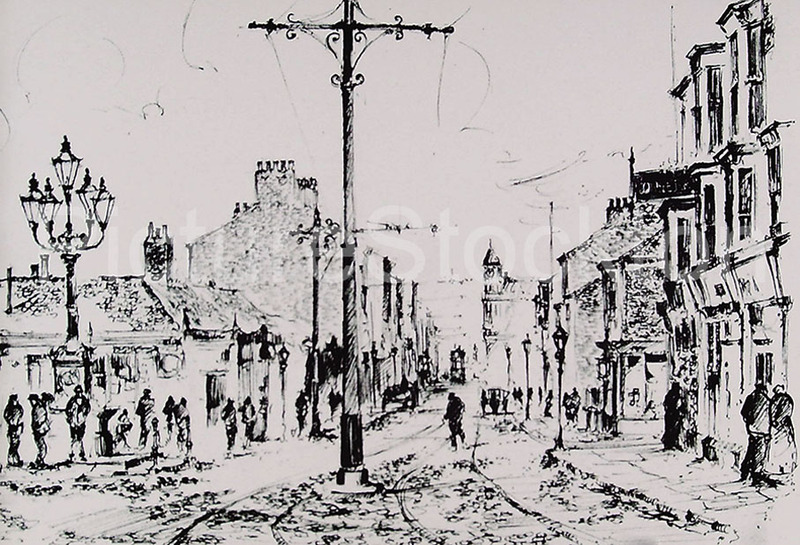 A Pen and Ink sketch of Mandale Road, Thornaby in 1920. Image and details courtesy of Philip Moore. 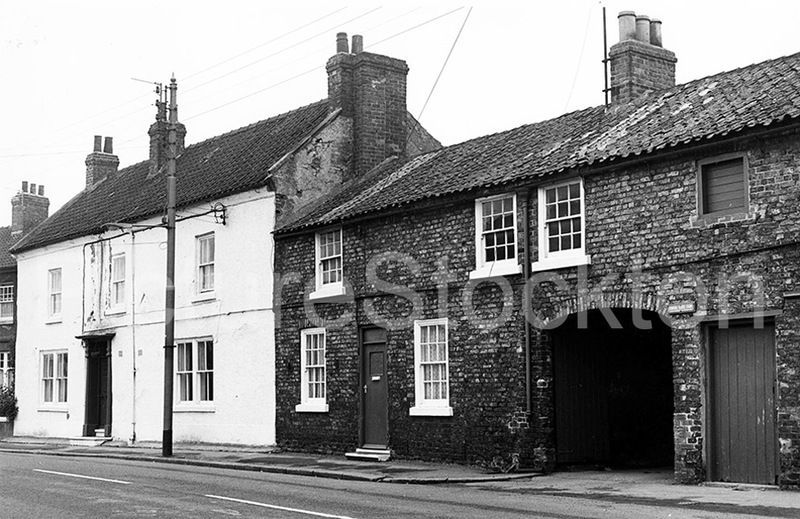 A view of 8 and 10 Durham Road, Wolviston c1976. (10 Sundial House Farm grade II listed). 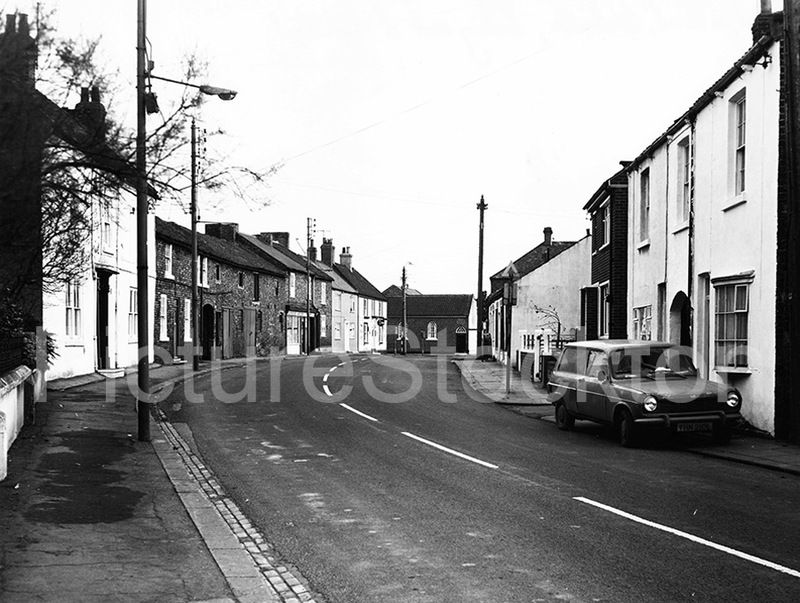 Durham Road looking east towards the High Street in Wolviston c1976. 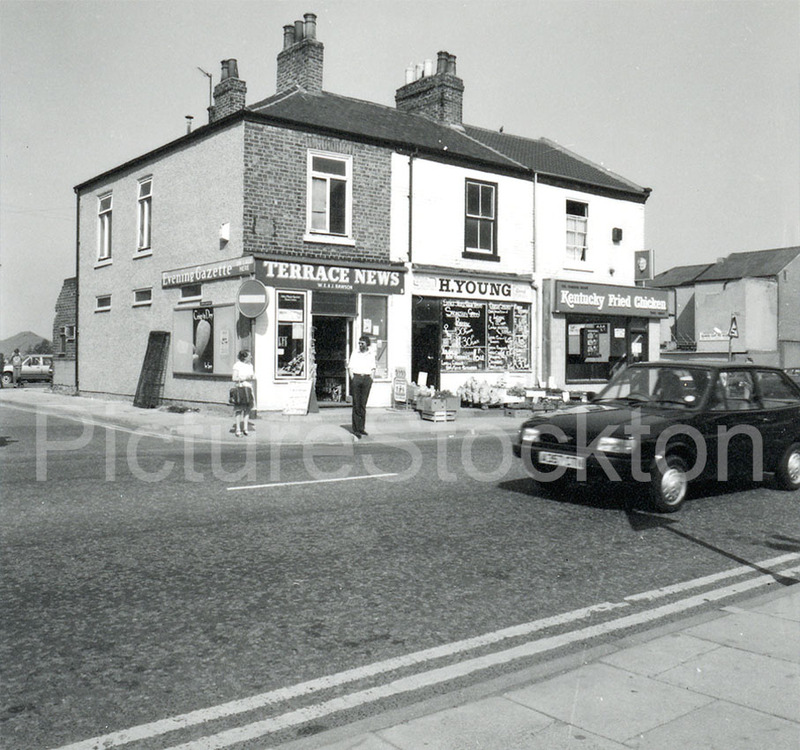 Prince Regent Street in Stockton c1983. 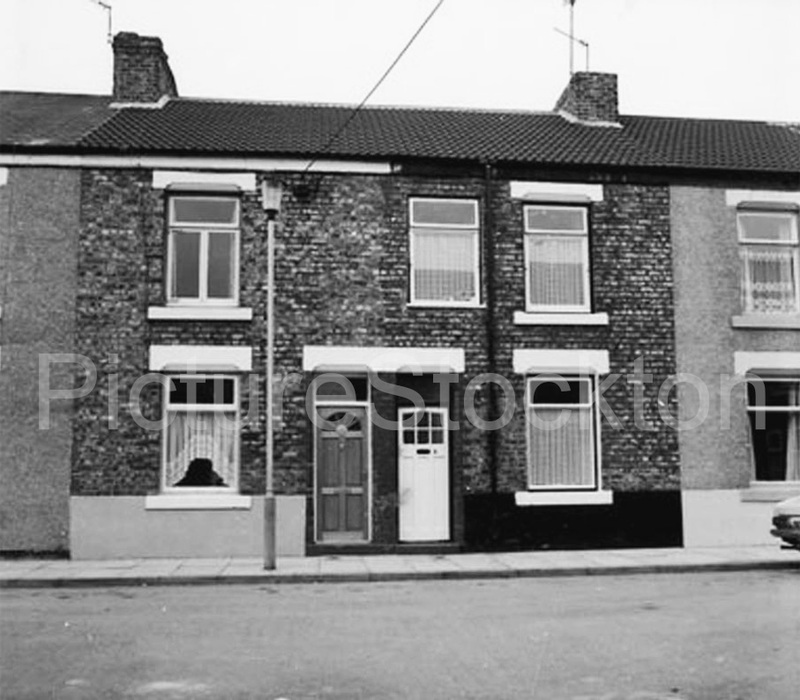 Burgess Street in Stockton. c1985. 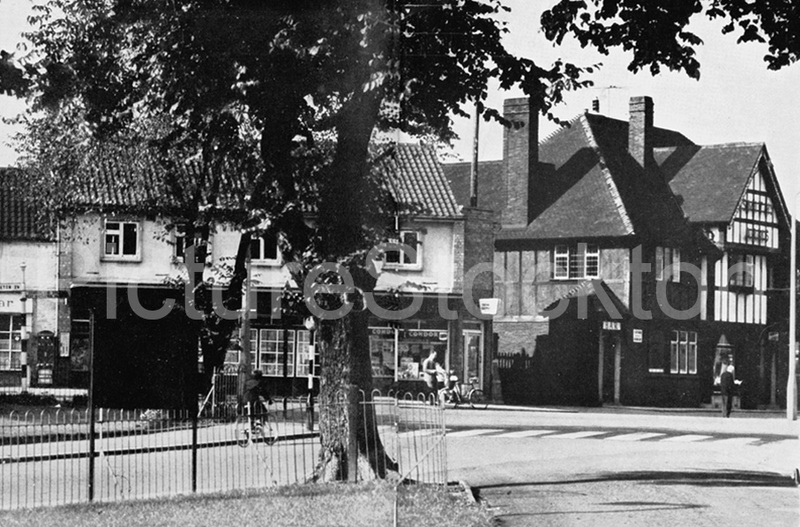 This photograph of Billingham Green was taken from the small road that ran down to the Methodist Central Hall, since demolished. Out of sight to the right of the photographer was a small triangle of grass with a large “conker” tree in the middle of it, a magnet for small boys in the “conker season”. 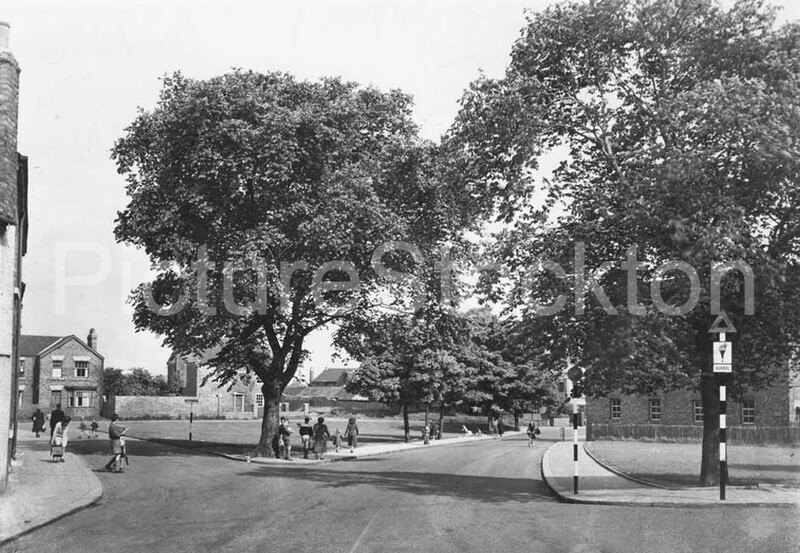 Behind the tree was a small row of shops which included Maddox’s pet food shop, Star Boot Repairs and Radio Relay, this was the 1950s radio equivalent of cable television. Also off to the right was the beginning of Station Road, in the 1950s two of the shops just round the corner in Station Road were Menhennents DIY shop and Bill Beatties sports shop, both of whom relocated to the new Town Centre in the 1960s. 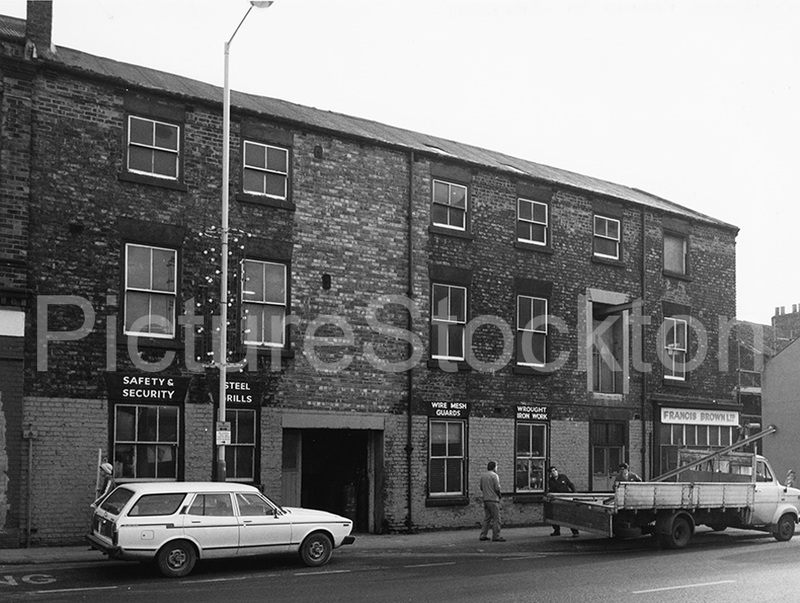 In the photograph to the right is the Smiths Arms public house, this looks very similar to this to this day, the newsagents was always known as “Dickie Smiths” I have noticed that there are two vending machines to the left of the shop, the bigger looks to be a cigarette machine, the other could be either chewing gum or chocolate, both icons of the early 1960s. 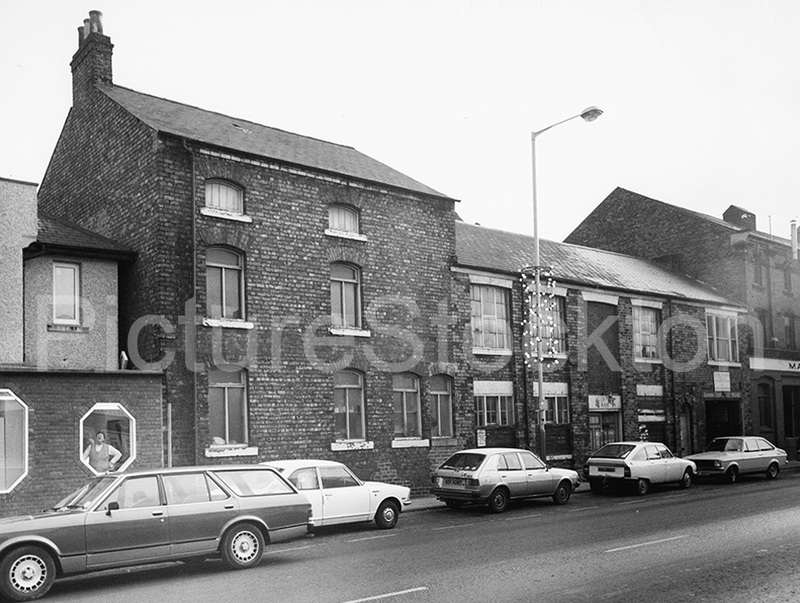 This area and its surroundings were the main shopping centre during the 1950s, Station Road stretched along to the main Post Office passing Uptons on its way, on Belasis Avenue was the big Stockton Co-operative Society store always known as “Billingham Stores” and along Mill Lane there were a number of shops starting at Ben Fords barber, located under the Picture House and finishing at The Mill Press, there were also shops on South View and on the Green its self. Saint Cuthbert’s Church is just behind the shops in the photo, the lych gate is slightly to the left of the shops. Whilst Billingham Green isn’t as photogenic as Norton Green it is still a very pleasant place. 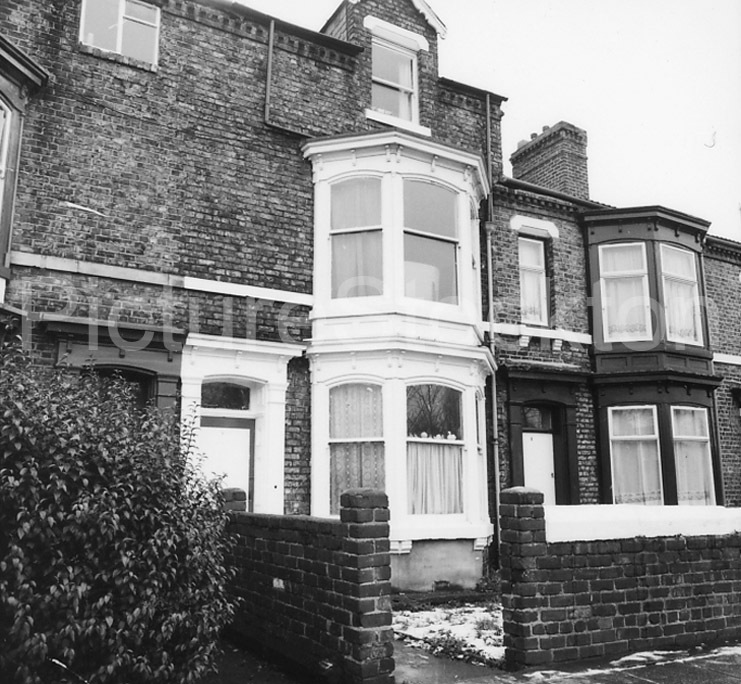 These photographs show Richard Hind Walk housing estate built on the old school, hope they are of interest to former pupils no longer living in the area. Photographs and details courtesy of John Robson. 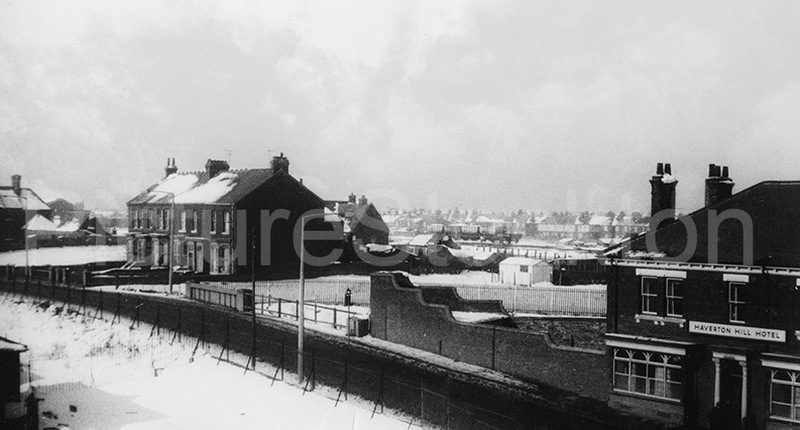 This photograph shows the Haverton Hill Hotel in the foreground, the railway line to Port Clarence in the middle distance and Belasis Avenue in the background. I don’t have a date but the houses to the left of the hotel are sporting television aerials that were in use in the 1960s. 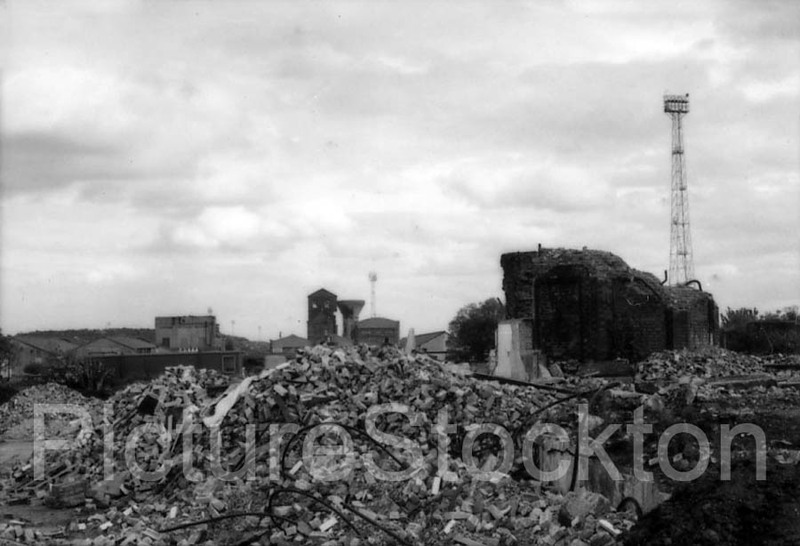 Can anybody put a name to the row of houses and could the building just disappearing off the left of the photograph be St. Johns Church?